Cedar Court Hotel01924 276310work HotelThe Cedar Court Hotel prides itself on the customer service in which it provides to all guests. Located just off the M1 motorway, guests are within easy reach to explore not only Wakefield but the rest of Yorkshire. Free attractions such as the Yorkshire Sculpture Park is a short drive away as is The National Coal Mining Museum for England. This privately owned hotel has 149 beautifully appointed executive bedrooms. The modern spacious bedrooms are all equipped with a private bath and shower, high speed wireless internet access. Wifi is free at the hotel in the lounge and all bedrooms. Employing a palette of modern colours and trends, the hotel has created a versatile, contemporary space in which guests can enjoy casual dining as well as daily tea and coffee servings. The Cedar Court Hotel, Wakefield is committed to forging further links with its locality and history – with the use of rhubarb in its menu one of many local connections promoted by the hotel. Staying at the Cedar Court Hotel gives you the chance to explore further a-field and if it's a day at the races you have in mind choose from York, Wetherby, Pontefract or Doncaster. The hotel also boasts a modern leisure club, which includes a hydrotherapy pool, spa pool and a spacious gym. The state of the art Gymnasium and fitness room is just one of the vast facilities available to both residential and non-residential guests. Others include, steam room, sauna room, sun tanning salon and a beautician. 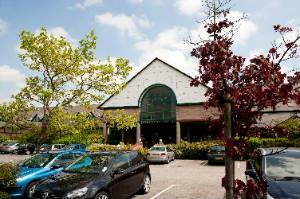 The Cedar Court Hotel prides itself on the customer service in which it provides to all guests. Leave the city centre on the A636 (Denby Dale Road). Follow signs for M1 motorway. Continue forward over M1 roundabout, 2nd exit. Hotel can be seen from the road, located on the left. Leave the M1 at jct39. Follow signs for Bretton (A636).